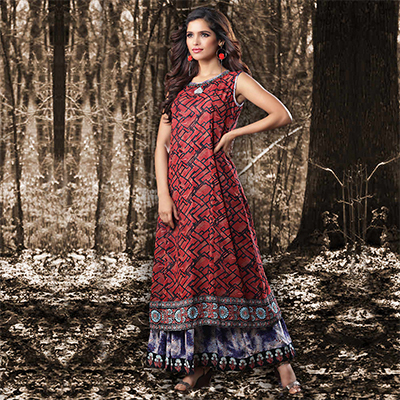 Make an adorable statement with this red kurti. 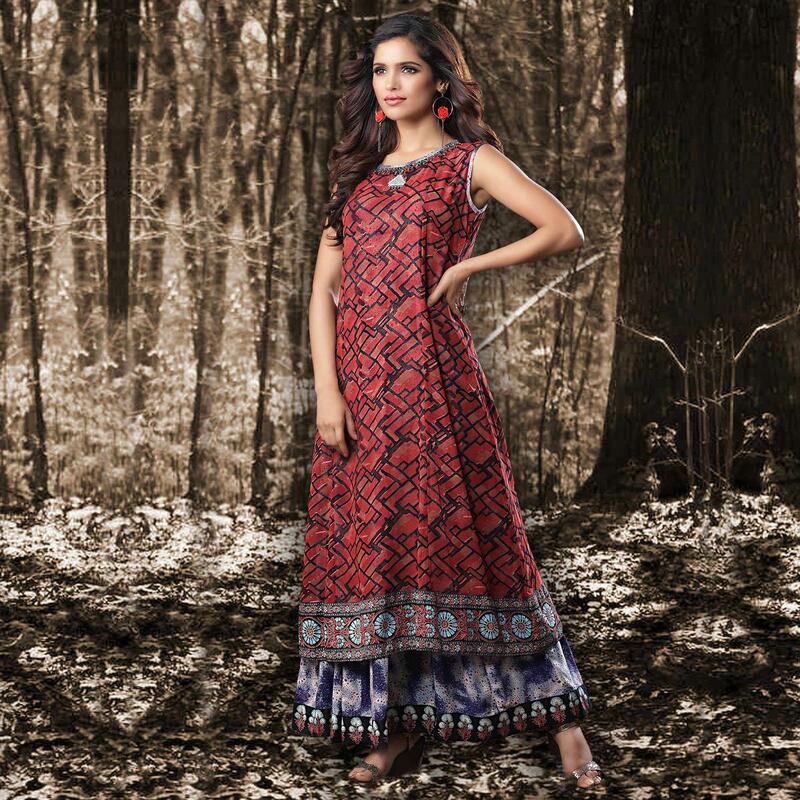 This designer kurti is fashioned on georgette fabric & enriched with beautiful print work done on entire body as shown. This stitched kurti is perfect to pick for casual wear, office wear, weekend get-together, parties and events. Pair it up with churidar or jeans to create a contrasting effect, along with heels & stylish accessories. This attractive kurti will surely fetch you compliments for your rich sense of style.